Information about Equinox Baby Weighing Scale-Digital EQ-BE-22 Equinox Baby Weighing Scale-Digital EQ-BE-22 is designed for every new mommy who wants to keep a track of the baby’s weight, the Equinox EQ-BE 22 baby digital weighing scale is a must-have. As a baby’s weight is directly proportional to the health, immunity and overall development, it’s mandatory to have a regular check on the baby’s weight. It is also vital to weigh your baby periodically as rapid growth and changes occur during the first two years of your baby’s life. This weighing scale features a 1.2-inch LCD screen that displays large, easy-to-read numbers. You can check your baby’s weight in kilo grams or pounds. This scale features a delta weight function that not only displays the recent weight reading, but also shows the difference between the current and the previous weight, helping you monitor the baby’s weight better. 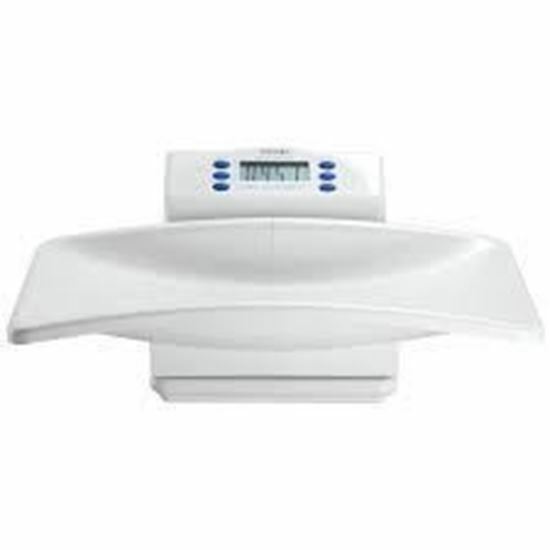 Salient features of Equinox Baby Weighing Scale-Digital EQ-BE-22: Delta weight function allows to recall the last weight and show the weight difference between the current weight and the last weight. 1.2 inch LCD display with multiple function-clock, memory, recall, hold injection white color. Removable tray, Kg or lb switchable with a capacity of 20 kg. Alkaline batteries required with low battery and over load indication.